The Wayne Interfaith Network operates the local food bank in our town for distribution to our own citizens, our neighbors. 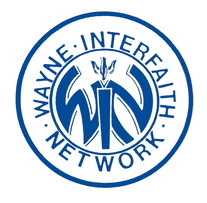 Developed by the Wayne Clergy Fellowship, WIN collects and distributes food for those who need assistance. WIN also assists in housing issues and other referral services. The WIN volunteers come from churches, synagogues and other organizations throughout Wayne. Collections come in daily at Shomrei Torah and can be placed in the WIN barrel in our lobby. Operation Isaiah collects personal care items the week of Rosh Hashanah and Yom Kippur. In addition to food, WIN accepts cash donations which are distributed as shoe vouchers in September and to Children in need. In addition, in cooperation with the Wayne Welfare Department, assistance with bills or rent are given in emergency situations. Shomrei Torah, along with the other synagogues and churches in town support WIN in these endeavors as well as providing food for thanksgiving dinners to local families in need. WIN takes part in annual drives such as Operation Isaiah Basic Necessities Drive and MAZON: A Jewish Response to Hunger in which more than 900 synagogues and Jewish agencies across the country - including Shomrei Torah - fight hunger through the Mazon High Holy Days fund-raising drive and the Operation Isaiah food drive. Shomrei Torah members are encouraged to donate the equivalent of the cost of food they would have eaten on Yom Kippur to help the hungry. All food donations must be non-perishable, and in non-glass containers. The project takes its name from the prophet Isaiah who urged his countrymen to "share bread with the hungry . . . and not turn away from people in need." Volunteers also assemble and package the food and personal care items. Special thanks to all those who participated in these Mitzvot. In November, Shomrei Torah provides turkeys and packages of cookies for the annual preparation of Thanksgiving Baskets by the Wayne Interfaith Network. Congregants who wish to provide frozen turkeys or frozen turkey breasts should bring them to the synagogue on the deadline day. Help is also needed to assemble and deliver the food items.